My law office assists family members and friends who are concerned about the mental capacity of an adult loved one. In these instances, a petition to be appointed guardian or conservator may be necessary. Contact my office to discuss your particular facts. Guardian or Conservator? What’s the difference? 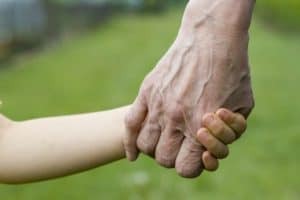 In order to streamline this discussion, I use the term guardianship loosely to cover both. However, you should know that there is a difference between a guardian and conservator. In Virginia, a guardian is the person that oversees the medical decisions and physical care of an incapacitated person. A conservator controls the finances of an incapacitated person. It is wholly possible that a person may be in need of a conservator but not a guardian and vice versa. There are also instances where a different person is appointed for each role. Guardianship is not just for the elderly. As an example, I have helped parents whose children have a mental incapacity. When the child reaches the age of 18, the parent finds themselves in a situation where they can no longer legally make decisions for that child. I would stress that my office assists with guardianships for all incapacitated adults. Is a Guardianship even necessary? The first question we will address when you contact my office is whether a guardianship is appropriate in this instance. The court will want to know whether there is a less restrictive alternative such as a power of attorney or advance medical directive. In addition, you’ll need to show that the person is, in fact, truly incapacitated. Typically, this requires the opinion of a doctor. In the instance of contested guardianships, there are times when more than one medical expert witness is necessary. A guardianship petition may be contested by a family member or by the respondent (the alleged incapacitated person). When this occurs, the matter must be set for a trial. I do not say this to scare you, but it is important to be aware of this fact in case you do have special concerns. It is true that the majority of guardianship petitions proceed without a hitch. However, familial relationships and responses vary from situation to situation. Attorneys are specifically prohibited from offering guarantees to their clients regarding the outcomes. If you are concerned about this, let me know when we speak. How much are the attorney’s fees? My office typically bills under an hourly basis for guardianship matters. The fees in an uncontested matter are typically much less than in a contested guardianship. Keep in mind that the petitioner may often have their costs and attorney’s fees reimbursed from the assets of the incapacitated person (respondent). Contact my office to discuss my fees. My office serves clients throughout the Richmond, Virginia metro area. I am available to serve clients with contested and uncontested guardianship petitions in Chesterfield, Richmond, Goochland, Henrico, Powhatan, Hanover and beyond. If you have questions, please do not hesitate to contact my office. Ryan C. Young is also a qualified Guardian Ad Litem for Incapacitated Persons.